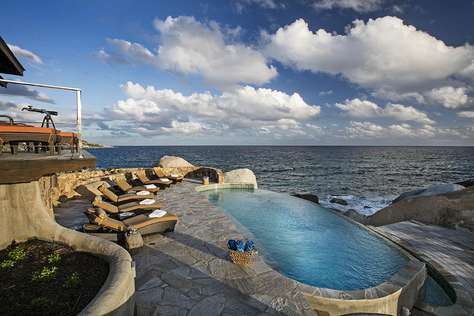 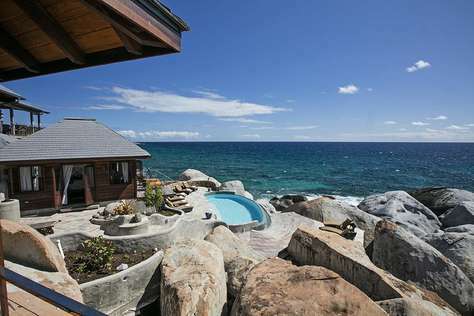 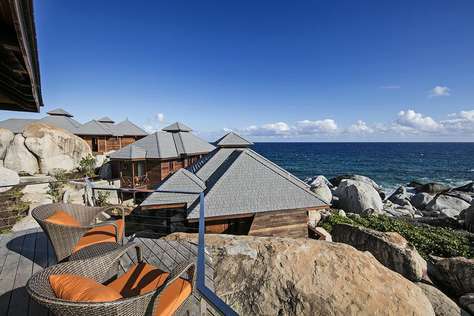 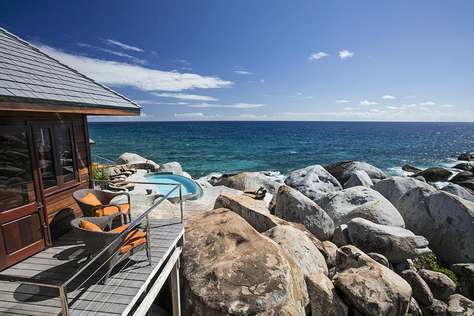 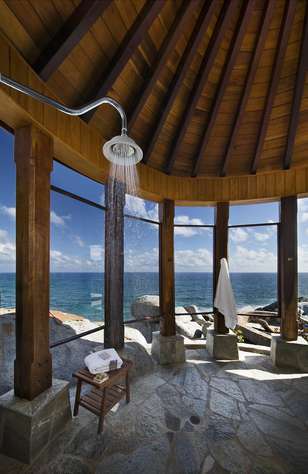 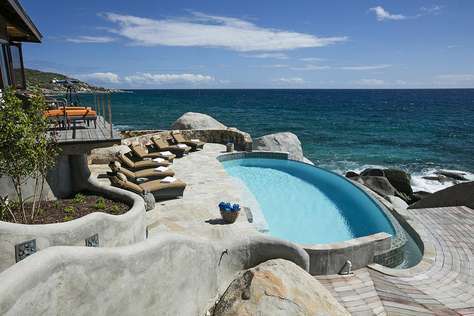 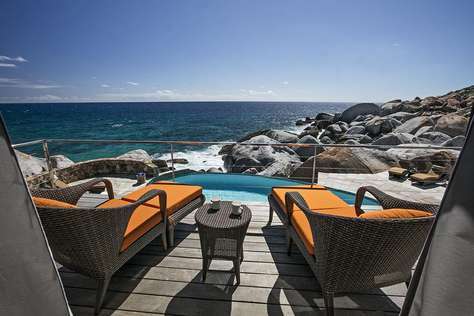 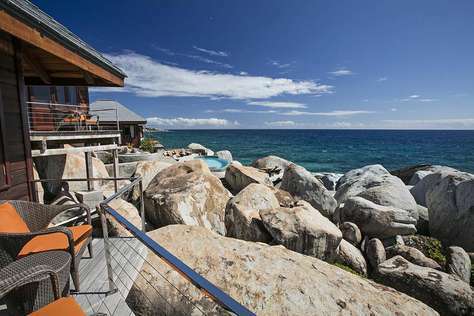 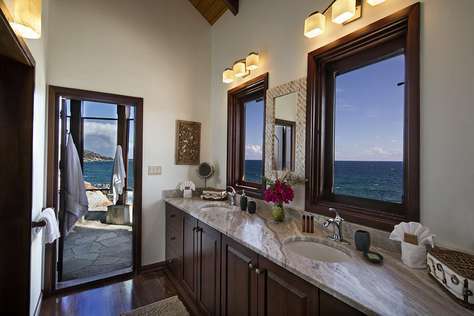 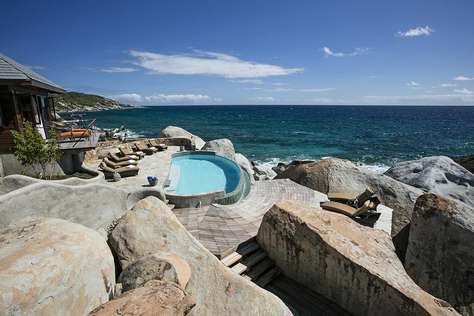 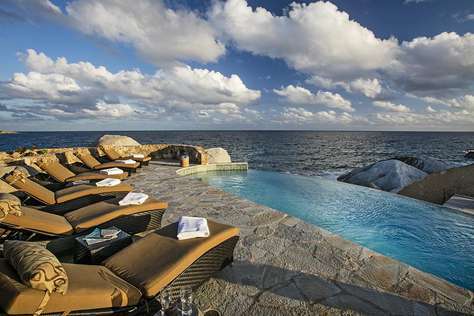 A spectacluar villa consisting of 5 peaceful pavillions which cascade over the boulders of Virgin Gorda. 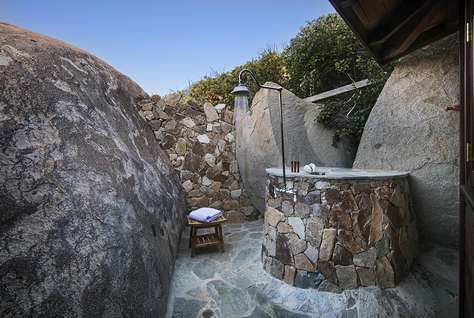 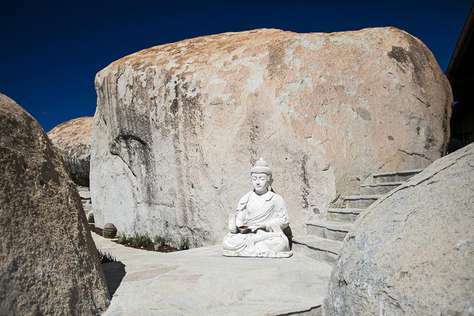 This home consists of a great room, fitness room, and 4 private suites with outdoor showers and amazing stonework paths through the boulders. 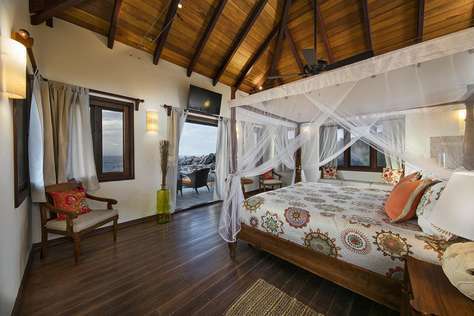 The villa has a modular design to maximize privacy for each of the four suites. 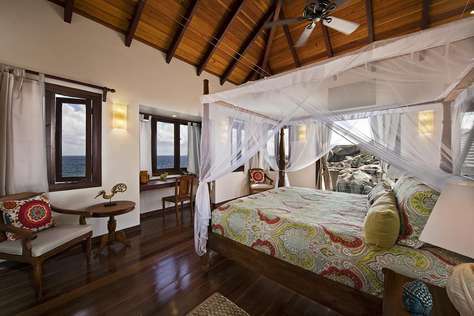 Each bedroom has sweeping views of the ocean. 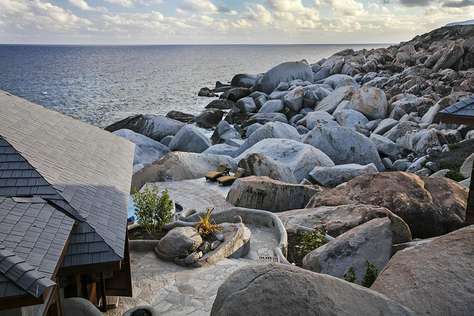 The freshwater infinity pool is reached by following one of the many stone pathways that meander amongst the boulders and tropical gardens. 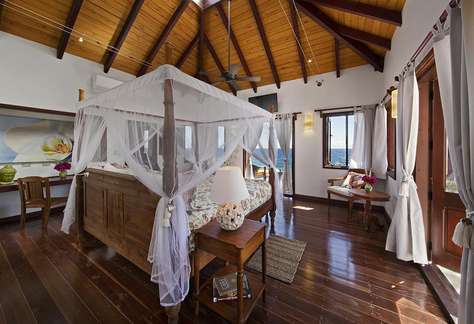 After entering the Indonesian hardwood doors that announce your entry into this calming Caribbean sanctuary, you enter the main house. 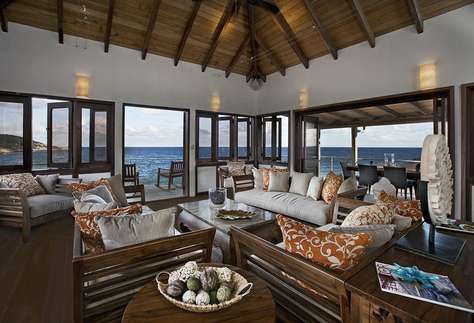 Hardwood floors and unique pieces of handcrafted custom-made furniture adorn the open-plan dining and living room areas. 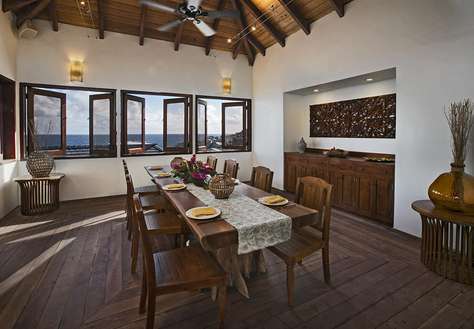 Custom-made Mora wood dining tables provide seating for up to twelve guests both inside the main house and outside on the covered deck. 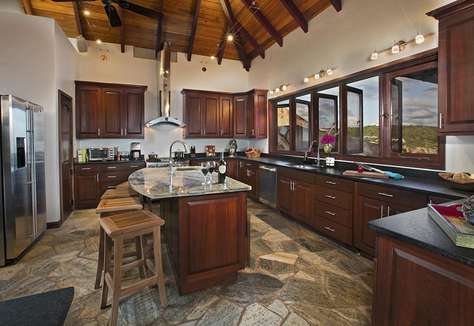 A fully equipped kitchen comprising of granite countertops and professional grade stainless steel appliances, including a refrigerator, range, oven, microwave, dishwasher, wine refrigerator, and high capacity ice maker provide the perfect opportunity to create family meals. 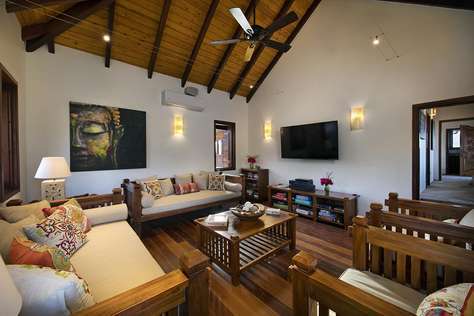 The air-conditioned entertainment room and study includes a 60" smart television with surround sound and a satellite entertainment system. 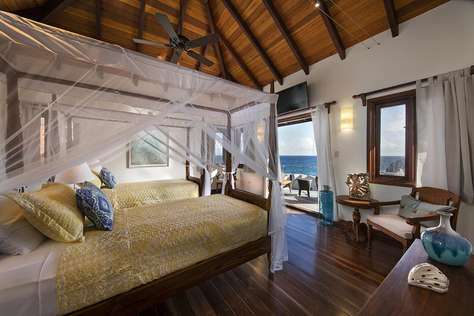 Wi-Fi internet access and stereo sound system are available throughout the main house and pool area. 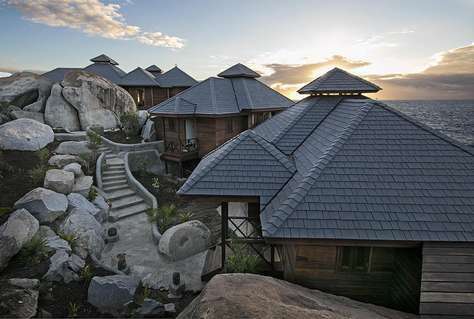 Batu is your perfect home away from home. 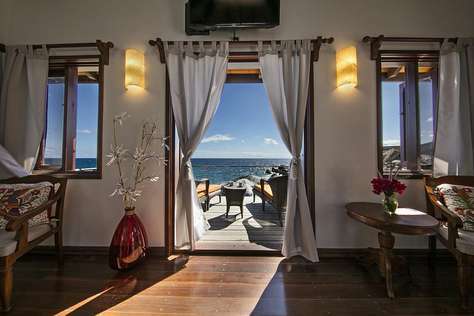 Your deposit to hold your dates (the amount due at booking) will consist of 50% of the total price of your reservation, and the remaining 50% as well as the security deposit and a 12.5% Virgin Islands Room tax due 60 days prior to your arrival date.